Earlier this year, I lamented on twitter about how sad my life now is because I was excited over my a new vacuum cleaner. And then twitter reminded me of this when I expressed excitement over a new waste disposal unit. So it’s probably best that I leave my latest bout of purchasing excitement off twitter, and share it with you here. In earlier posts I’ve passed comment that my bathrooms scales are not adequate for what I’m after. They’re actually mechanical scales, good quality, but they only read in 500gm increments. And those increments are pretty hard to read! Specially for someone with bad eyesight (even with glasses I found the markings pretty small and impossible). So today I decided that I’m over trying to read the small print on the mechanical scales and after work I went to the local Briscoes to buy some new bathroom scales. I’d seen they had some on sale, but I walked in and they were 60% off!! So I walked out of Briscoes with brand new Body Composition Electronic Scales. So hopefully now, I can accurately track my losses and changes as I continue to lose weight. and a few other things too! I’ve gone as far as updating my tracking statistics fields in MyFitnessPal to log the data from the scales. I’m so excited. I cannot wait to weigh in tomorrow morning. And now I’m looking forward to a weigh in post next week! Cannot wait to weigh in! I see the scales being one of the most essential tools to weight loss. Obviously you say. I also use my tape measure and my iPhone. It isn’t about losing the kilos, it is also about losing the inches! What do you consider to be one of your important tools to help you drop kilos and lose centimetres? 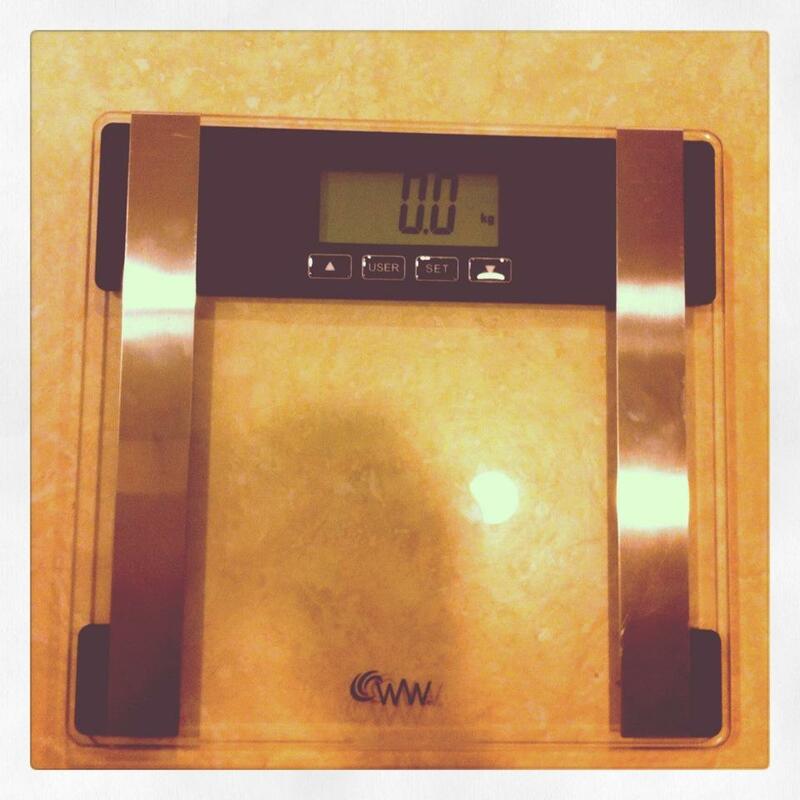 This entry was posted in Burble, Diet Tools and tagged electronic scales, motivation, scales, Weigh In. Bookmark the permalink.